Southwestern Seminary's board of directors issued a statement yesterday after concluding their investigation into President Paige Patterson admitting a practicing Muslim into its seminary. The entire statement can be read here. (1). President Paige Patterson (administration) violated the charter and by-laws of the seminary when he admitted a practicing Muslim into the seminary. With lawyer-esque language, the SWBTS's board of trustees said, "there are inconsistencies between the seminary’s bylaws and the actions of its administration and board." Translation: Our bylaws were violated. (2). President Paige Patterson should have requested from the trustees an exception to the bylaws prior to admitting a practicing Muslim. The statement reads: "(we) acknowledge an exception should have been requested until such time that the bylaws could have been amended for launching various initiatives." Translation: Trustees had no knowledge of, nor did we give permission for, the admission of a practicing Muslim. (3). The Seminary will begin the process of changing the bylaws in order to allow future admission of practicing Muslims into the seminary. The statement reads: "(We) are taking steps to amend the seminary’s bylaws to improve accountability that will allow for flexibility in pursuing ministry opportunities such as the one at the Darrington Unit." Translation: We agree that practicing Muslims should be admitted into the seminary in the future and will change the bylaws to make this possible. The statement concludes with a statement of support for President Patterson, stating that "Any violations of the seminary bylaws were done in a good-faith..."
So, the solution to a practicing Muslim being admitted into Southwestern Baptist Theological Seminary in violations of the school's charter and bylaws is to change the bylaws to make this practice acceptable. Simple reaction: have the messengers next June vote one whether to continue CP funding of a Seminary that has taken this action. Myself, I'd vote for cutting off funding. Are you kidding me! If that's not a slippery slope then I don't know what one is. Unbelievable! And how long do you think it will be until an act of terrorism happens on our seminary campus? If a Muslim converts to Christianity and wants to train for Christian ministry--Yes! But NOT a practicing Muslim who is likely plotting strategy for a major terrorist event on a Southern Baptist campus. Calvary is obviously not an important point for these folk! Houston Baptist University and similar institutions have no problem admitting individuals of other religions. Seminaries, on the other hand, decided to pull out of the university setting years ago. We need to do a history lesson on why they chose the cloistering path. Thanks for your post, Wade. I think this is disgusting. I am speechless as to why they would do this or allow it. Where are the people with spines and courage??!! This wimpy brand of Christianity is disheartening,to say the very least. I keep thinking I must not see the whole picture, that I am missing something, and then I fear I am not, that this really is what it appears to be. Unbeliev1336able, and pitiful. Sorry. My typing went crazy up there. I meant to say unbeleivable without the numbers. The violations were done in good faith? While some might believe this, thousands more would say it was clearly an attempt to push the envelope to see how far beyond the pale he could go. We expect truth and transparency from our Directors and Trustees. They are there to preserve with the utmost care the deposit entrusted to them. We would not like to see the tarnished mantle of the irresponsible Bankers fall upon our institutions. The ruin that has followed in the wake of such actions is there for all to see. Anyone know if the trustees have to present bylaw amendments to the Convention for vote? Technically, any bylaw change can occur with 2/3rd's vote of the trustees and is only REPORTABLE to the Convention. However, the Convention can (and should) speak to any bylaw change that goes contrary to the wishes of the Convention. paige patterson reminds me of J. Edgar Hoover. This is beyond belief for me. If this were a Baptist University, I could better understand the reasoning. If the person were simply pursuing a liberal arts education, then enroll at Baylor or Houston Baptist or Oklahoma Baptist or Howard Payne, etc. The purpose for our seminaries, however, is to provide quality education which prepares students for the work of CHRISTIAN ministry, whether it be at the local church level, the mission field or some para-church organization. Wade, I'm somewhat confused about a Muslim in the PhD program in Fort Worth. I understand allowing a Muslim in the seminary at the TDCJ unit. Our church is very involved in several faith-based dorms within the Texas Department of Criminal Justice here in Texas. I understand that by being faith-based, the programs must be opened to all religious faiths even though most faith-based programs are led by Christians. We have a house church planting school at one of the units here in Huntsville. By policy it has to be opened to all faiths. We are in our third year with roughly 40 men in each class. These men have a calling in their lives and desire to start a non-traditional work in the crime infected areas of the metro cities of Texas. We are starting to see some of these men being paroled out and starting new works. To make adjustments to join God in what He is doing in the prisons, we agree to having an open policy to other faiths in order to prevent lawsuits, etc. I understand and applaud what SWBTS is doing within TDCJ. My experience is that over time, those who are from other faiths, become open to Christ and eventually trust Him as they read the Bible and other Christian material in the programing. In fact, the Muslim leader of one unit was in one of our programs and came to know Christ. I baptized him. He was in the first church planting class led by Union Baptist Association (Houston, TX) and Texas Baptists (BGCT), and became our first graduate two years ago. He was paroled out and has since started two works with several baptisms. He is allowed to mentored at risked high school students who are connected with gangs. The school administration has contacted my church and the administration of the Parole Division of TDCJ requesting more mentors like him. I have no problem with a Muslim enrolled in seminary within TDCJ because we see transformation taking place and it keeps the door open to disciple God-called men and women who desire to be the presence of Christ among those that most churches really do not target to reach. Violations in good faith? Sounds conflicting faith to me! Keith Haywood wrote; "The purpose for our seminaries, however, is to provide quality education which prepares students for the work of CHRISTIAN ministry, whether it be at the local church level, the mission field or some para-church organization." Is that written in the Constitution or By-Laws of SWBTS as being its purpose or is it in the SBC Constitution/By-Laws? If it is in the SBC Constitution or By-Laws I would think that trumps SWBTS and would void any decision made to the contrary of SBC rules. This position by the SWBTS Trustees puts the common Cooperative Program donor, like me, in a dilemma similar to paying Federal Taxes if our Federal Government uses my taxes to finance abortions. What do I do? Stop paying Federal Income Taxes and go to jail? In this case, what do I do; stop contributing to the Cooperative Program of the SBC? Sad; very, very sad. Cower to Power. "Southern Baptist Theological Seminaries exist to prepare Godcalled men and women for vocational service in Baptist churches and in other Christian ministries throughout the world through programs of spiritual development, theological studies, and practical preparation in ministry." I am so glad that I left denominational life behind, for this very reason. This is APPALLING. As a graduate of SWBTS, I never dreamed that this seminary would go the way of universalism. It took an ultra "conservative" President to exalt religion and reject relationship with The One true God through Jesus Christ. Square these new policies with John 14:6, I dare you. Everyone is making some very great comments. I don't normally do this, but Bart Barber (a trustee at SWBTS) wrote a post at www.sbcvoices.com. What he wrote motivated me to write a very, very long response. I think my response to Bart will help all of you understand where I'm coming from in this matter. In my post, I only used the words of the trustees in their summary statement of the investigation. In the comment below, you hear what I think of it (TWO PARTS BELOW). I don’t think I know either Stephen or Jason (commenters above), but their comments and questions are both perceptive and respectful. I’m confident you will answer them and look forward to your reading your answers to their questions. I’ve not commented on SBC Voices in several months. I read various things on the Internet every morning around 4:30 am before I go work out, and very few things I read cause me to respond at this early of an hour! Your post has elicited from me a response, that I hope you find as respectful as the two men who’ve commented before me, while being slightly more direct. You mention I’m ‘obsessed’ with this issue (Thank you for changing the word to ‘preoccupied.’ I just noticed the edit). I’m obsessed with my Christ. I’m obsessed with my wife. That’s about all. I do have some bulldog tenacity, particularly when I see principles violated for the sake of sycophantic praise of SBC leaders. At some point our beloved Convention is going to have to realize that the only one deserving of our adoration is Christ. Men make mistakes; we all make mistakes; we live in a sick system if we are afraid to call out someone’s mistakes. After rejecting at least a dozen approaches from SWBTS faculty, students, and other significant persons who contacted me and asked me to write on this subject (providing all the details necessary to not ‘allege’ but to ‘prove’ a practicing Muslim was admitted to SWBTS), I finally relented and wrote on the subject because I believe it is an important one. Otherwise, I have very little interest in SWBTS. I think I’m the one contacted because these men (most of whom I don’t know) have the opinion that I’m not afraid. Your post, Bart, reveals a few things that I would like to point out to your readers. Please know that I write with respect, but I will be direct. I also know I could be wrong with my statements below, but I’ll let the readers judge. (1). It seems you seek to minimize the influence of those who disagree with you on this issue. Phrases like “a dozen or so of the millions of Southern Baptists” are interacting with what I wrote. Bart, if it were truly only a ‘dozen or so’ you were concerned about, I doubt you’d be writing. I think you will find that there are far more than a ‘dozen’ that SWBTS trustees will be hearing from regarding their statement. Just two examples of the competent, respectful Southern Baptists who are not part of your ‘dirty dozen’ (smile) are Stephen and Jason above. (2). It seems you to wish to denigrate the messenger (me) in order to obfuscate the message. Again, thank you for changing the word ‘obsessed’ with ‘preoccupied.’ However, I’m not sure why you use phrases like “I also am not going to interact with anything that Wade has written about the matter” or other statements. I will not go into your motive for not wishing to dialogue with me, for I truly don’t know. When I opposed you serving as a trustee for SWBTS it was on the principle that no trustee should be an employee (adjunct, part-time, or full-time) of the institution which he or she is serving. It is a matter of principle for me that people who receive a paycheck from an institution should not be charged with holding accountable the person or persons who sign the paycheck. I do hope you understand my objection to you serving was never personal, but based on principle. That being said, the fact that you wrote this post based something I wrote seems to be an ‘interaction’ whether you wish for it to be or not. Saying it ain’t so doesn’t make it not so. (3). It seems you have been told “not to discuss” anything said behind the closed doors of SWBTS. Your statement “I have not revealed any confidential information nor have I violated any of the stipulations that govern trustee conduct in the authorship of this post” is a common one. In my experience as a trustee of one of our SBC institutions, it is secrecy and closed doors that cause all the problems. Jesus told his followers that we were to act ‘in the light of day’ and I’m sure you’ve heard the statement “you are as sick as the secrets you keep.” It’s about time Southern Baptists – all of us – heard what was being discussed behind ‘closed doors.’ So, though you think it is honorable that you have not ‘revealed any confidential information,’ I think you are missing the point that when SWBTS trustees must keep things ‘confidential,’ something very well may be rotten in Denmark (pardon the expression; I just returned from Amsterdam). (a). It is not the desire of SWBTS trustees to ever again allow practicing Muslims into SWBTS seminary. (b). It is not the desire of SWBTS to ‘embarrass’ Paige Patterson. (c). It is the desire of SWBTS trustees to change the bylaws of SWBTS to grant more ‘freedom’ to the President on issues of admissions (but not Muslims). (d). Behind closed doors trustees address admitting Muslims and ‘non-vocational men and women.’ In your post today, you’ve only chosen to address non-vocational men and women who desire seminary education – but perceptive Southern Baptists like Stephen and Jason see through the smoke and mirrors and are asking you about MUSLIMS. The issue has never been about non-vocational Christian men and women desiring seminary education (though trustees sure hope Southern Baptists with short memories think that’s been the issue). In reality, the critical point has always been allowing a practicing Sunni Muslim who denies Christ as Lord and Savior admission into SWBTS in contradiction to the stated bylaws and charter of SWBTS. What was said about that issue, Bart? (e). To avoid embarrassment of the President of SWBTS, trustees went behind closed doors and came up with a statement that contains language which can be interpreted to allow the future admission of Muslims, though it is not the intention of trustees to allow that to happen. (f). When Southern Baptist trustees place personalities and perception above principles, confusion will reign until direct questions (like Stephen’s and Jason’s) are answered. (g). The trustees of SWBTS have unwittingly and unwillingly created another firestorm because their is an inordinate desire to ‘protect’ personalities and reputations instead of addressing the relevant issues. Bart, I think you and your friends (fellow trustees) who applauded the your exec committee’s summary statement following their investigation may have misjudged the response from the average Southern Baptist. I also realize you think that denigrating those who disagree with the statement makes the statement and/or conclusions of the statement stronger. 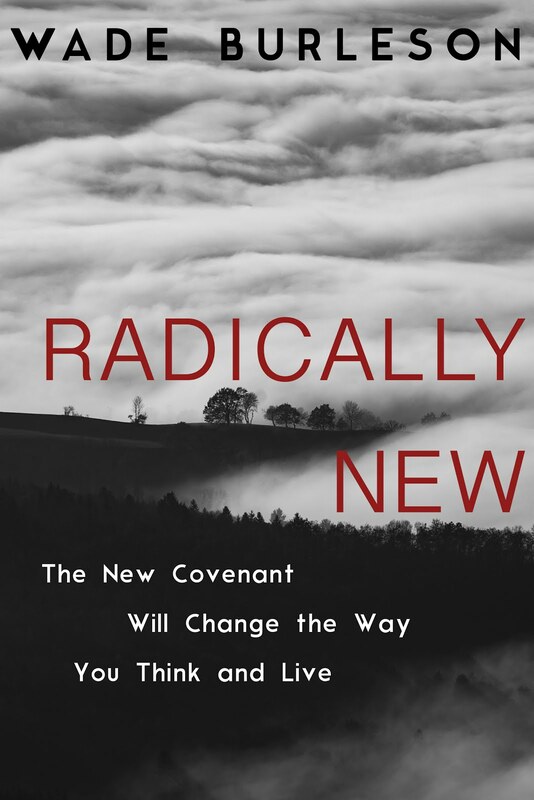 The Southern Baptist Convention will only be stronger when we come out of the proverbial closet, reveal our secrets, and stop pretending we are doing one thing when our intention is to honestly do another, all for the sake of protecting revered personalities. MY RESPONSE TO SWBTS TRUSTEE BART BARBER (PART THREE). Since you have chosen not to dialogue with me, I look forward to hearing your responses to Stephen and Jason. P.S. By the way, because the trustees have gone this route (beginning the process of changing the bylaws), fifty years from now SWBTS will be admitting Muslims. Ironic, is it not, that the man you claim is a liberal (me), may be in reality the conservative, Bible-believing man who is attempting to save SWBTS from a future down-grade. Hi Wade, as a recent alumnus of SWBTS with first hand knowledge of the ad hoc and fiat decision driven madness that goes on there on a regular basis, this does not shock me in the least. The board of trustees has a track record of rubber stamping whatever whim Paige Patterson decides on. SWBTS is the personal playground and kingdom of Paige Patterson. He arbitrarily controls and micro manages everything and makes the most outrageous decisions and statements without real accountability. Thanks for posting this and standing up for the truth. I am saddened by the board's decision but not surprised. 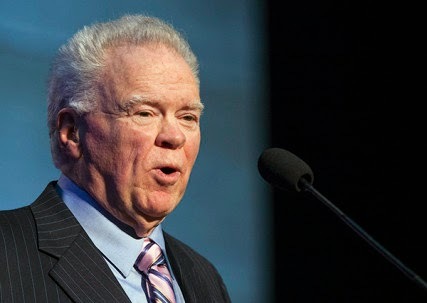 Paige Patterson has been shooting at the hip and doing this stuff for decades and no one in the SBC does anything about it because all the good old boys of the hostile takeover of the convention owe their current jobs to him. All they can do now is kiss Patterson's papal ring and bow their knees to the pope of the Southern Baptist Convention. You might find this strange, but I like Dr. Patterson and Dorothy as people. Their winsome, entertaining, and colorful. So, I'm not sure I'd necessarily agree with the tone of your comment. However, I am in agreement that people are afraid to say anything because of financial and career considerations. That's why people call and write me. (And I sort of wish they wouldn't). Thanks Pastor Wade, I am the main student that contacted you and gave you the information. I am an alumnus of SWBTS and lived on campus for five years. I was a student leader (President of the Apologetics Club) and a teaching assistant. I graduated with a 3.997 G.P.A., made the dean's list, was an academic scholarship student (Opal Cox scholarship student). I gave my all to SWBTS and it was a nightmare. I believe I have a right to share my point of view about Dr. Patterson and SWBTS. I do not write as an outsider to SWBTS. The information I gave you was completely accurate and nothing I have said in anyway deviates from the truth. By full disclosure; President Patterson was my President when I graduated from SEBTS and I esteem him highly. That said, "IF" (I haven't read SWBTS by-laws)their by-laws state that only "men called of God" should be committed, then it would appear that President Patterson was wrong, no matter what his motives. I can see how he might have intended this as a means of reaching this man for Christ, but in retrospect, I believe there were better ways without putting the "fox" in the henhouse. Since I, in no way, can say what President Patterson was thinking, let me say, that the Seminary has rules in place for a reason and no one should be above those rules. President Patterson has forgotten more about Islam than I'll ever know and only he knows why he did what he did. I would LOVE to see this man come to know Jesus Christ as His Savior, but am also very leery of his motives knowing how the Koran teaches to "submit and live in peace until you get the upper hand". I wonder, would we be as upset if the Seminary allowed non-believers (I went to school with some), some who just wanted the diploma and admit they were not called by God (had some of them too)? I understand the consternation and I share it. My bottom line is this; If there are clear rules in place, they should be adhered to by EVERYONE involved. Well, you won't go to jail for refusing to support the Cooperative Program :) Find missionaries to support directly. You won't get a write-off, but the point of giving isn't the write-off. If you were half the man you want to pretend like you are, you would have made your name public before you graduated. If you're one of the folks that left anon comments when Don Quixote first "brooke this sotry" (snicker) then your obvious disdain for the Conservative Resurrgence probably belies moderate baptist sympathys, which of course explains your connection to Wade. In the Bible names reflect character. Nuff said. What IS the policy of SWBTS towards respecting the religious integrity of a professing Muslim student who is admitted to their archeological department? From what I know, SWBTS is not 'ecumenical' in the sense that it is up to dialoguing respectfully with other faiths, but I may be wrong, or things may have changed for the better, but I don't know this for sure. My question and concern is for the integrity of the Muslim student ... will he be respected as a sincere member of his own faith or will he proselytized by those who feel that is their mission for his salvation, and cannot grasp the concept of respecting this student's religious integrity ? This is a strange situation. In my own faith, Jewish and Muslim students are often admitted to our universities and we value the diversity and opportunity to learn from them directly. At the University of Dayton, Emily Hunter MacGowin was admitted to the doctoral program and was a teaching assistant as a Southern Baptist, and I'm sure that Catholic university valued her presence and respected her integrity. But isn't SWBTS basically of a 'fundamentalist' orientation? And ecumenism and inclusiveness don't seem to fit that image? I do wonder what will happen to that Muslim student, and if he will be treated with dignity for who he is as a sincere human being with a strong faith. Bridgett said in response to my consideration over not wanting to support SWBTS' position of educating non-Christians by pointing out the option of:" Find missionaries to support directly. 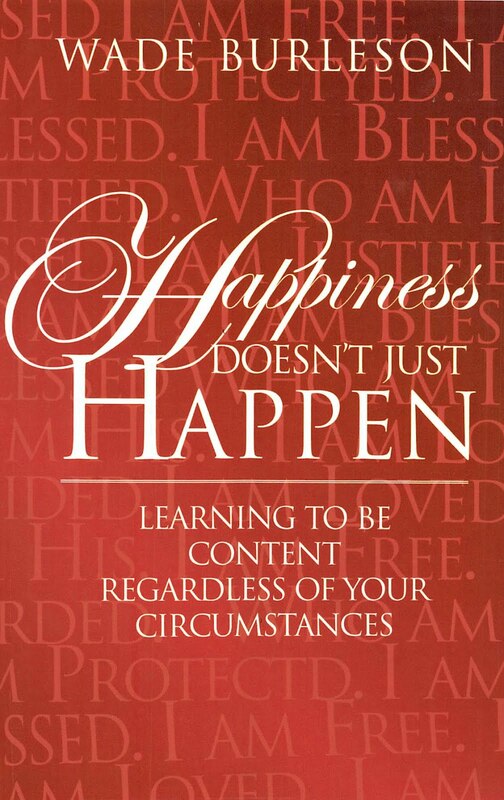 You won't get a write-off, but the point of giving isn't the write-off." Bridgett, you are correct. I have the option of choosing to contribute to Southern Baptist ministries and institutions by "designating" those to which I will support. It may well come down to that given my disgust with the direction some, like SWBTS, are taking which I believe contradicts traditional Southern Baptist principles and the historic intent of our SBC Seminaries. Honestly, I find the compromise of our Seminaries' "Purpose" of equipping and training Christian ministers by their inclusion of students belonging to non-Christian world religions as being more off-track and disturbing than if they included those professing Christians who openly identify with the homosexual community. On what basis could such compromising Seminaries (those accepting non-Christians) reject homosexuals, Mormons, Jehovah Witnesses, Buddhists, Hindu, etc.? So perhaps I WILL be forced to begin "designating" contributions as Bridgett suggests OR stop support entirely should the Southern Baptist Convention not step in and take action to seriously address these rogue institutions. My discontinuing support of The Cooperative Program would be radical and painful but for some people maintaining principles trumps taking the "easy" road. How is an archeological degree preparing someone for Christian Ministry in the church or on the mission field? I must agree with Pastor David Valentine. After spending a day with him in his own ministry context within a Huntsville prison, I quickly understood why SWBTS might allow undergrad students to be enrolled in state funded programs within the prison system. The program that is referenced by the trustees has been a huge success by any and all accounts. The issues being seen in Fort Worth deserve our attention - not via debate at this point, but passionate prayer. Interesting development and comments. Lots to think about. (2) What SHOULD Souther Baptist seminaries exist for? The historical answer to (2) has been the same as the answer to number (1). But this is now seen by some, for various reasons, as too narrow. Perhaps seminaries should exist to provide theological education for Christians who are not called to vocational ministry but who nonetheless desire to serve God in a non-vocational way ("volunteer" ministry, etc. ), or who just desire to learn the Bible from the best available Bible teachers. Or perhaps seminaries should exist (at least in part) to evangelize unbelievers by providing them with biblical instruction. Or perhaps they should exist to educate anyone who simply desires an education in that which they teach. Another relevant matter that I have not seen addressed in this discussion is whether or not there is actually a biblical basis for the idea of a special vocational call to full-time paid church work that is distinct from the general call of all believers to minister in the name of Jesus. If the answer to that is yes, it argues more for the historical reason for the existence of seminaries. If the answer is no, it provides good cause to re-examine the historical reason for their existence. What do the (any and all) of the documents which relate to this actually state. If they have names can someone list them, I will be glad to search. We could use your research. It seems the documents have been removed from online sources. We are trying to gather the Bylaws and the Charter of SWBTS. 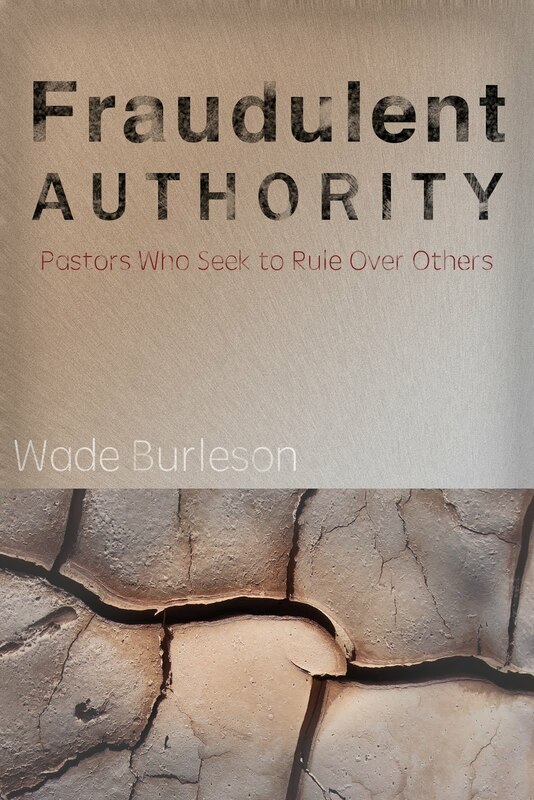 Elsewhere at SBC Voices, a dialogue between Wade Burleson and Bart Barber occurs (and continues?). Toward the end of the 'give and take' on this issue, (paraphrased) Bart says Wade would want to get rid of the Darrington prison program, Wade says he supports that program, Bart says the change Wade seeks would eliminate SWBTS offering the prison program, Wade then finally says (again paraphrased), if that's going to be what it takes, then fine. I left this (sorry) lengthy comment inserting my perspective at SBC Voices. It is presently in moderation. My comment inserts into that debate over the prison ministry and education program. If my position is important, I believe the Muslim admission to seminary was wrong and that the recent SWBTS official response lacked sufficient clarity. I also believe the insertion of the prison program as a ‘talking point’ is an unfortunate conflation and misdirection or, at worst could be a red herring. To me, this all boils down to properly defining the university/college vs the seminary, and from there, properly delineating roles (and if necessary, separate bylaws and boards). Many commenters here and elsewhere point out appropriately (my opinion) that admission of any non-Christian to our CP supported private universities (ie OBU) granting to them a Bachelor’s level degree is entirely appropriate. Most here should know that a university is a conjoined term of unity and diversity. Faith-based universities who move towards a Christian-only admissions policy cease to become a university. They still have wonderful value for higher education, but should be renamed ‘training centers’ or ‘Bible institutes’ and the like. part 1 was too long. This is part 2. My next point briefly recounts the obvious: A seminary is quite different – they can be very exclusive, they grant higher degrees, and they exist to train ‘clergy’ of the faith sponsoring the seminary. A Muslim enrolled in any degree program at Baptist XYZ SEMINARY should be as foreign to us as a Baptist enrolled in a higher ed degree program at the Baghdad Madrassa. A brief historical aside and point of inquiry that sets up the next point: Our 7 flagship SBC seminaries (if I understand correctly) originated and were chartered as SEMINARIES. But, SWBTS has College at Southwestern. SBTS has Boyce College. I’d guess SEBTS and NOBTS have separate, umbrella’d Bachelor’s degree colleges, also. My guess is that these entities are reasonably recent developments (ie past 25 years) and please correct if wrong. If correct, my expectation is that these additional entities were created to capture additional students, to capture additional revenue streams, to grow their influence, and to utilize resources such as space and expensive salaries of PhD level scholars more efficiently by placing them into more classrooms filled with tuition paying students. The main point: I believe the unnecessary misdirection to be an unfortunate conflation of the prison educational issue with the Muslim PhD student in SEMINARY issue. Here’s why. The prison education initiative culminates in the granting of a Bachelor’s degree in Biblical Studies. My guess is that this Bachelor’s degree is granted/administered/governed by the ‘College at Southwestern’ under the auspices of SWBTS. Unfortunately, those ‘auspices’ probably muddy the waters because I would further guess that those Bachelor’s degree recipients receive a diploma that has SWBTS stamped on it somewhere. Henceforth, you then have the belief and assertion from many stating: ‘there are other non-Christians in seminary – look at the prison program! You want to get rid of them, too? ?’ If the response is taken to that extreme, it has the appearance of a red herring to me. I believe most reasonable Baptists are fine with the prison outreach culminating in a Bachelor’s degree granted by a Baptist college umbrella’d under a seminary. Just make it clear what they are receiving and who is granting it! It’s not a seminary degree, not a ‘seminary’ program and has nothing directly to do with the Muslim SEMINARY admission. If my analysis, history, and suppositions are correct, then my ‘clear path forward’ is to expend great effort at clarification of: 1) what is the prison degree system and who governs it, 2) what is the line of separation between a ‘college student’ on (or off) the seminary campus and a ‘seminary student’ on the seminary campus, and 3) that now and in the future, that only Christians will be admitted into our Baptist seminaries as seminary-level degree candidates. Some notes, correction, and enhancement to my two part post above. The note: I note that my comment originally posted to SBC Voices is still in moderation. I don't regularly comment, and I believe Dave is away. My comment may not get any interaction there. The correction: I mentioned 7 flagship SBC seminaries. There are 6? Enhancements: Yes, the 'colleges' umbrella'd under our seminaries are indeed very recent developments. College at Southeastern founded 1994. Boyce College at Southern founded 1998. College at Southwestern founded 2005. Indeed the degree program pursued by the Darrington prisoners (again a Bachelor's of Science in Biblical Studies B.S.B.S. (humor not intended)) appears to be 'housed' under College at Southwestern and was only added in 2010. All in all, very recent developments....and it certainly does nothing but augment my opinion that, with specific regard to admissions policies, the unfortunate conflation of the prison program with the Muslim PhD admission is a red herring. Hope is being able to see that there is light despite all of the darkness. See the link below for more info. I graduated from SWBTS in the Fall of 1999. That was Hemphill's era. Everything was a political chess match in those days but at least within our convention and within our faith for all that matters. This is an issue that goes squarely against our faith! Yea, even in direct competition to it and even in a house called by its own name! How can this be? During my time at SWBTS Paige was surging in the convention and his conservative leadership was quite welcome to those aligned faithfully to SB principles and a fidelity to the Gospel - especially in the face of a changing social landscape in the church with fringe movements and "emerging church" ideologies. I have witnessed to many Muslims in my life and they have always spoken highly and respectfully of Southern Baptists because of our fervor for Christ, our unapologetic conservatism and our unwillingness to bend to social trends that compromise the integrity of the church. In short, we command a respect among Muslims because we are in fact a denomination that believes in and adheres to time honored Christian maxims whether liked or not. I know this first hand. I have to say, if admitting Muslims is in fact the case here with Paige, and if it is being accomplished in secrecy or by clever word smithing contra to by laws by which everyone including leadership has pledged to uphold and adhere to, we will have lost precious spiritual capital among a great mass of Muslim non believers and pre believers as well as the church itself. We seem to play at will in a free and relatively peaceful society with condescending "outreach " strategim to our own peril. What??? Are we just bored with compliance or is there truly something new under the sun that Paige has discovered? We seem to believe we are immune from compromise and the charms of our own self deceit. We could very well lose our influence and identity on the grounds of our own Seminary one diploma at a time because we believe our "civility" and "goodwill" is of greater esteem than the esteem of the Gospel. Why do we play these games? Compromise is not in the Muslim rubric of thinking and it is highly scorned as weakness at best! If we think our niceties will win their hearts we are wrong! I thought we had defined the lines of how far to go in these times. It seems Paige is no match for his own evangelistic creativity here and rules of conduct are no longer in play. I don't really know who Paige is proselytizing here - the Muslim or the church??? I pray cogent truth prevails!